Derby's waste - a rubbish blog ! : The brownfield site that isnt ! The brownfield site that isnt ! It was late 2008 when the residents of Derby learnt of a proposal to build a large incineration plant in Sinfin Lane in Derby. Until news broke of a proposal to burn the wastes of Derby and Derbyshire in the heart of Derby such thoughts were off the radar of the residents of the city who went about their daily lives. For those who lived close to the proposal - which we learnt would be built on the Sinfin Tannery site - an ex brick works, tannery and later landfill shock and horror hit them. The wards of Sinfin, Osmaston and Normanton which circle the proposed site have for many years suffered social deprivation with unemployment and ill health being key issues. In the case of Sinfin and Osmaston heavy industry has been a close neighbour for decades and just at a time when due to foundry closures the communities air was beginning to improve the proposal put forward by the councils to be built on land owned by Derby City Council was sprung on unsuspecting residents. What residents didn't know was that for a number of years the councils of Derby and Derbyshire had been plotting a joint method of disposing of the waste of the city and county by engaging with waste management companies. The picture painted by the developer - Resource Recovery Solutions (Derbyshire) who at the time was a joint venture between United Utilities and Interserve and the councils was of a state of the art plant that wasn't an incinerator but was in fact a "gasification plant". This claim was soon rumbled by campaigners against the proposal who used the definition of an incineration plant in the Waste Incineration Directive (WID) which confirmed just what objectors thought - that gasification was just another name for an incineration plant. The Sinfin Tannery was put forward as a brownfield site and so some (the council's and developer) felt this waste incineration proposal was ideally suited to such a position. The realities are very different as the Sinfin Tannery was in fact an oasis of wildlife in an area of heavy industry. The scars of industry had been covered over by grass, trees, wildflowers and a population of Common Lizards had moved onto the site - Derby's only known population. The image below was taken at the time of the 2nd public inquiry by which time Shanks Waste had taken over the contract from United Utilities and Interserve. 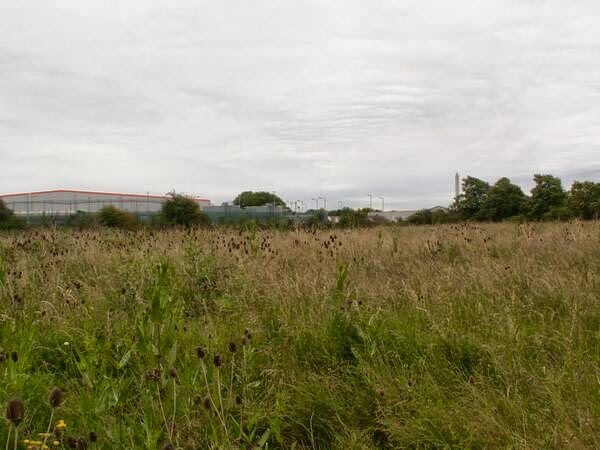 We attended a site visit with the planning inspector and as you can see the site is not a brownfield as you would expect - it is a prime example of recovered industrial land which has become a great place for biodiversity. Having been thrown out by planners after a long campaign by the local community and environmental groups including Sinfin, Spondon and all Against INcineration (S.S.A.I.N) and Derby Friends of the Earth supported nationally by the UK Without Incineration Network (UKWIN) http://ukwin.org.uk/ a prolonged battle spanning from 2009 to this day has taken place taking in two public inquiries and a number of legal battles in the High Court. Planning permission was finally passed for the project calling into question the UK governments localism agenda where local people it is suggested are able to mould their communities. We tend to consider that localism is a lie peddled by the UK government.